Home price gains remained solid in August due in part to low mortgage rates and an improving economy. The S&P/Case-Shiller 20-City Home Price Index rose 5.9% year over year, in line with estimates. David M. Blitzer, managing director and chairman of the Index Committee at S&P Dow Jones Indices, said, “Home price increases appear to be unstoppable.” On a national basis, home prices rose 6.1% from August 2016 to August 2017, up from 5.9% in the previous month. Americans were upbeat on the U.S. economy and future prospects in October, reports the Conference Board. The Consumer Confidence Index soared to 125.9 this month, the highest since December 2000. The percentage saying business conditions are “good” increased from 33.4% to 34.5%, while those saying business conditions are “bad” rose marginally from 13.2% to 13.5%. However, there was a slight downside in the report. The outlook by consumers on the job market was somewhat less favorable than in September. 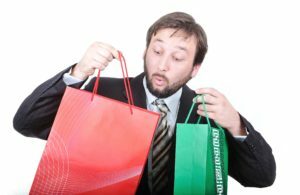 The National Retail Federation (NRF) recently reported that holiday sales in November and December are expected to increase between 3.6% and 4%, excluding automobiles, gasoline and restaurants. The total dollar amount should come in around $682 billion, up from $655.8 billion last year. This year, Christmas comes 32 days after Thanksgiving, giving shoppers one more day to finish their shopping. This year’s forecast of 3.6% would match last year’s and is just above the five-year average of 3.5%. The Fed’s favorite inflation gauge, the year-over-year Core PCE, remained at 1.3% in October, well below the 2% target that the Fed has been looking for. On a monthly basis, the Core PCE was unchanged at 0.1%. The Fed has said that it will most likely raise rates at the December FOMC meeting, despite the low inflation levels. Within the report it also showed that Personal Spending recorded its largest increase in more than eight years last month, rising 1.0% versus the 0.8% expected. That is good news heading into to the holiday shopping season. Personal Incomes were up 0.4%, just above the 0.3% expected. The two-day Federal Open Market Committee meeting kicks off on Tuesday and ends Wednesday with the 2:00 p.m. ET release of the Fed’s monetary policy statement. A rate hike to the short-term Fed Funds Rate is not expected at this meeting. The Fed members will most likely repeat that economic activity has been rising moderately so far this year while job gains have remained solid in recent months. The decline in job growth in September will most likely be mentioned as well but the Fed has already said that the weak numbers were due to hurricanes Harvey and Irma. Residential real estate company Redfin reported recently that the average price of a newly-built home rose in the third quarter of 2017. The average price rose to $374,000, up 3.3% year-over-year compared to existing home prices. The report went on to say that one in eight homes for sale in September were new construction, compared to one in 13 five years ago. “After almost a decade of underproduction, we are finally seeing a slow, steady increase in single-family housing starts, up 9% from a year ago,” said Redfin Chief Economist Nela Richardson. The Bureau of Economic Analysis reports that Gross Domestic Product (GDP) grew by a solid 3% in the third quarter based on the first of three readings. Gains were led by private inventory investments, exports and federal government spending. Within GDP, consumer spending increased 2.4% following the 3.3% rise in Q2. GDP is the monetary value of all finished goods and services produced within a country’s borders in a specific time period. It is considered the broadest measure of economic activity. The Federal Housing Finance Agency reported this week that home prices rose 0.7% from July to August with a 6.6% jump year over year. The FHFA monthly Home Price Index is calculated using home sales price information from mortgages sold to, or guaranteed by, Fannie Mae and Freddie Mac. The index doesn’t include high-end homes purchased with jumbo loans or cash sales. The front facade of a modern contemporary A frame style home. The Commerce Department reported on Wednesday that New Home Sales surged 18.9% in September from August to their highest level since October 2007. This was the largest monthly gain since January 1992! Sales came in at 667,000 units versus the 555,000 units expected and were up 17% year over year. Currently, there is a five-month inventory of houses on the market, down from six months in August. A six-month supply is seen as a healthy balance between supply and demand. The Mortgage Bankers Association (MBA) reports that it expects that total purchase originations will increase to $1.2 trillion in 2018, a 7.3% increase from 2017. However, the MBA anticipates that refinance originations will decrease 28.3% in 2018 from 2017 to approximately $430 billion. The MBA went on to forecast that total mortgage origination will fall to $1.60 trillion in 2018 from $1.69 trillion in 2017. Looking ahead to 2019, total originations should rise to $1.64 trillion, purchase originations of $1.24 trillion and refinance originations of $395 billion. 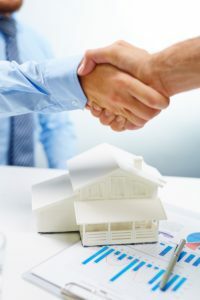 Mortgage rates edged higher in the latest week though they still remain historically attractive as reported by the Mortgage Bankers Association (MBA). The average contract interest rate for 30-year fixed conforming loan balances rose four basis points in the latest week to 4.18% with points decreasing to 0.42 from 0.44. The MBA’s Market Composite Index, a measure of total mortgage loan application volume, fell 4.6% in the latest week. In addition, the refinance index fell 3%, while the purchase index declined 6.1%. Seasonal holiday hiring is hot this year due to the fact that the labor market is at its best levels in years. The Unemployment Rate has fallen to 4.2%, the lowest level in seven years. Some retailers are going as far as offering permanent positions to score workers for the holiday shopping season. Employers will also be adding perks to land seasonal workers such as flexible hours, free food at work, or sick days and vacation time. The National Retail Federation reports that retailers will hire between 500,000 and 550,000 seasonal holiday workers this year, compared to 575,000 in 2016. Freddie Mac recently reported that mortgage rates will average 4.4% in 2018 due in part to the fact that the Fed will be less supportive in keeping rates low. Freddie also forecasts that total home sales will come in around 6.3 million in 2018 with total mortgage originations coming in at $1.695 trillion. In addition, Freddie Mac sees home prices rising by nearly 5% next year. The Dow Jones Industrial Average surged today after several strong earnings reports from McDonald’s, 3M and Caterpillar. The Dow hit an intraday all-time high of 23,476.88 after having hit numerous high closing records in the past few weeks. The Dow is up nearly 32% since the presidential election. Also helping to drive Stocks higher is the hope of tax reform from Washington. Corporate earnings season ramps up this week with 37% of the S&P 500 companies set to report. Thus far, three-quarters of the 88 S&P companies that have reported have beat profit expectations. In addition, 12 of the 30 companies in the Dow Jones Industrial are also set to report this week. Stronger earnings have lifted the major Stock indexes to record high levels with the Dow up 4.2% in October. 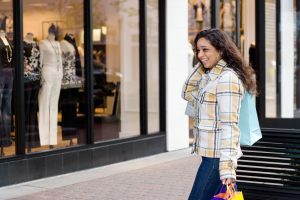 The National Retail Federation (NRF) recently released its sales figures for the upcoming holiday shopping season and the numbers are slightly below the 2016 season. The NRF reports that holiday sales will increase 3.6% to 4% as shoppers get an extra day of shopping along with increasing consumer confidence. The figures are just below the 2016 holiday season sales growth of 4%. The NRF forecasts sales for November and December between $675.75 billion and $682 billion. The holiday shopping season accounts for 20 to 40 percent of annual sales for many retailers. Economic growth figures will be released this week for the third quarter of 2017. The Atlanta Federal Reserve is forecasting a solid 2.7% rise in Gross Domestic Product (GDP) from its GDP Now models for the third quarter. Hurricanes Harvey and Irma could have slowed growth a bit in September, which is why GDP is expected to come in a bit lower. Consumer spending will be a key metric with the GDP report. For the economy to continue to grow, consumers will have to dig into their pockets and spend, especially with the holiday shopping season right around the corner. An attractive girl out shopping in the city. Hurricanes Harvey and Irma put a dent in new home construction in Florida and southern Texas. 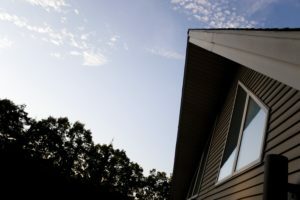 The Commerce Department reported that total September Housing Starts fell 4.7% from August to an annual rate of 1.127 million units versus the 1.160 million expected. It was the lowest level since September 2016; however, from September 2016 to September 2017, starts were up 6.1%. Single family Housing Starts fell 4.6% percent from August, although they were up 5.9% from September 2016. 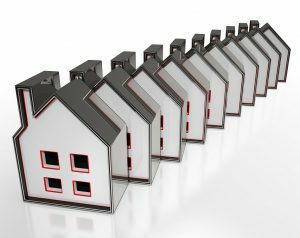 Multi-dwelling starts with five or more units, saw a drop of 6.2% from August and a 7.9% rise over September 2016. Overall, the South saw a 9.3% decline in September, while gains were seen in the Northeast, Midwest and West. Building Permits, a sign of future construction, fell 4.5% from August to an annual rate of 1.215 million units, just below the 1.225 million expected. 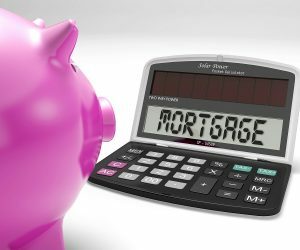 Mortgage rates were essentially unchanged in the latest week as reported by the Mortgage bankers Associaiton (MBA). The 30-year fixed-rate mortgage with conforming loan balances ($424,100 or less) decreased to 4.14% from 4.16%, with points remaining unchanged at 0.44. The MBA’s Market Composite Index, a measure of total mortgage loan application volume, rose 3.6% in the latest week. The refinance index rose 3%, while the purchase index was up 4%. Homebuilder sentiment pushed higher in October as builders rebounded from the initial shock of the hurricanes. The NAHB Housing Market Index rose 4 points in October to 68, above the 64 expected and up from 64 in September. The report showed that the component gauging current sales conditions rose 5 points to 75 and the index measuring sales expectations in the next six months increased 5 points to 78. Meanwhile, the component measuring buyer traffic ticked up a single point to 48. 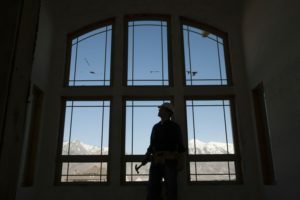 “It is encouraging to see builder confidence return to the high 60s levels we saw in the spring and summer,” said NAHB Chief Economist Robert Dietz. U.S. Stocks closed at record high levels yesterday. The Dow closed at 22,956.96; S&P 500 at 2,557.64; while the tech-heavy NASDAQ closed at 6,624.00. The new mantra for Stocks, “buy high and sell higher.” Equities can’t continue this blistering pace, there has to be some sort of correction. The S&P is currently trading near unchanged this morning while the Dow hit 23,000 for the first time ever. The United Kingdom (U.K.) Consumer Price Index hit 3% in September, the highest since March 2012. This is important to watch as low inflation around the globe has been a major tailwind for higher Bond prices and lower yields for a long time. The rise in U.K. inflation comes after Fed Chair Yellen said on Sunday that she expects inflation to bounce back soon. At the moment, the Core Personal Consumption Expenditure, the Fed’s favorite inflation gauge, is running at 1.3% year over year, way below the 2% the Fed is looking for. So, persistently low inflation here in the U.S. remains a “mystery” and is a major reason why long-term Bond yields are so low. Regional manufacturing data from New York State surged in October due in part to strong gains in employment, new orders and shipments. The Empire State Index jumped to 30.2 in October, well above the 20.0 expected and well above the 24.4 recorded in September, the highest in three years. Looking ahead, firms are optimistic about upcoming conditions as future business, new orders and employment are expected to increase. At an international banking seminar on Sunday, Fed Chair Yellen said that the outlook looks bright for the U.S. economy and for inflation prospects in coming months; this is weighing on Bond prices this morning. Ms. Yellen was speaking “Economic activity in the United States has been growing moderately so far this year, and the labor market has continued to strengthen,” said Ms. Yellen. 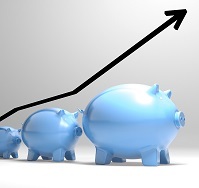 Banking giant Citigroup reported third quarter earnings last week and within the numbers it revealed that mortgage originations continued to decline. The bank is slowly pulling away from mortgage originations as it focuses in on other lines of business. Total mortgage originations fell to $3.2 billion in the third quarter, down from $6.5 billion in the third quarter of 2016. There is no clear reason as to why the bank is moving out of the mortgage servicing business, but the increase in regulations could be one of the bigger reasons. Mortgage rates continued to edge higher in the latest week, as reported by the Mortgage Bankers Association. The 30-year conforming mortgage rate ($424,100 or less) rose to 4.16% from 4.12% with an average point of 0.44. Jumbo 30-year rates also rose from 4.09% to 4.11% with 0.31 points. The 30-year fixed FHA was essentially unchanged at 4%. The survey covers over 75% of all U.S. retail residential mortgage applications, and has been conducted weekly since 1990. Federal Reserve Bank of Chicago President Charles Evans was speaking in Zurich on Wednesday, saying that low inflation levels here in the U.S. may not be a temporary phenomenon. Mr. Evans also said that the fundamentals for the economy here in the States are really very strong. Just recently, the Fed’s favorite inflation gauge, the annual Core Personal Consumption Expenditures (PCE), fell to 1.3% from 1.6% in April and well below the Fed’s target range of 2%. 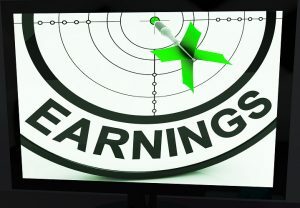 Corporate earnings season ramps up this week with numbers from JPMorgan Chase and Citigroup on Thursday and Bank of America and Wells Fargo on Friday. The S&P 500 companies are expected to post a 4.6% rise in earnings year-over-year. According to Thomson Reuters, the 4.6% forecast is down from 5.9% at the beginning of the month, and 14.9% a year earlier.